Campus Jobs is a B2B SAAS app that allows employers to hire students at any university. Students can find jobs and internships at their school and create job alerts, while employers can maintain local, regional, or national campaigns with a click. Employers find Campus Jobs easier than maintaining multiple logins to each school's career center, as there is only one approval step, not a separate process for each school. Finally, billing is also consolidated into one monthly fee rather than paying each school separately. Students benefit from a crisp, clear, blazingly fast job search which is tailored to them. 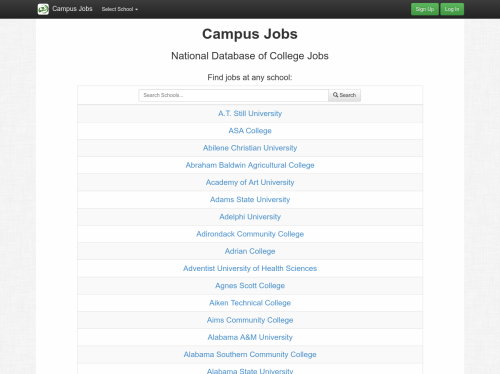 Campus Jobs launched in September 2014 and already has over 3,000 users.